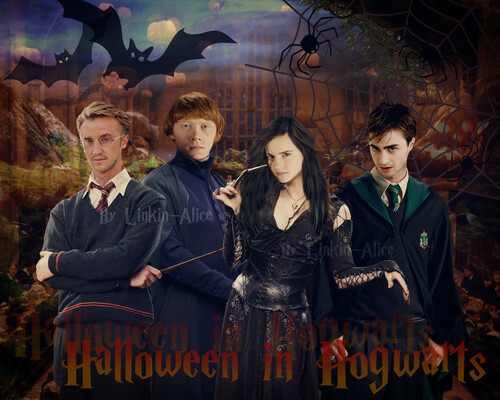 হ্যালোইন in Hogwarts. . HD Wallpaper and background images in the হ্যারি পটার club tagged: harry potter hogwarts hp trio halloween malfoy felton watson radcliffe grint. This হ্যারি পটার wallpaper might contain outerwear and overclothes.